Legal data: HOTEL SEMINARIO SLU, provided with CIF B95641031, in compliance with the provisions of article 10 of the LSSICE informs you that it is a company registered in the Vizcaya Business Register in Volume 5191, Folio 90, Sheet BI-58072, Registration 1, with address in Derio, calle Larrauri 1, CP 48160 (hereinafter, HOTEL SEMINARIO). You can contact us at Tel 94 4659700 and Fax 94 4659705 and through the email address reservas@hotelseminario.com. You can exercise your rights of access, rectification, limitation, cancellation and opposition by email to reservas@hotelseminariobilbao.com Must be sent along with valid proof in law, providing a photocopy of your ID and indicating in the subject “DATA PROTECTION”. The conditions of access and use of this website are governed by current legislation and by the principle of good faith, the user agreeing to make good use of the website. No behaviors that go against the law, the rights or interests of third parties are allowed. Being a user of this website implies that you acknowledge that you have read and accepted these conditions and what is extended by the applicable legal regulations in this matter. If for any reason you do not agree with these conditions, do not continue using this website. HOTEL SEMINARIO is not responsible for the information and content stored in forums, social networks or any other means that allows third parties to publish content independently on the website of the provider. However, taking into account the art. 11 and 16 of the LSSI-CE, HOTEL SEMINARIO undertakes to withdraw or, where appropriate, block any content that may affect or contravene legislation, third-party rights or morals and public order. Neither will be responsible for any damages that may occur due to failures or bad configurations of the software installed in the Internet user’s computer. It excludes any responsibility for any technical incident or failure that occurs when the user connects to the Internet. Likewise, the absence of interruptions or errors in accessing the website is not guaranteed. 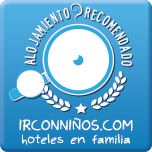 Likewise, HOTEL SEMINARIO reserves the right to update, modify or eliminate the information contained in its website, as well as its configuration or presentation, at any time, without assuming any responsibility for it. 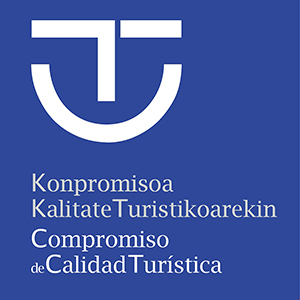 HOTEL SEMINARIO is the owner of the intellectual property rights referred to the contents included, with the exception of the rights on products and services of a public nature that are not property of this Center. No material published on this website may be reproduced, copied or published without the express consent of HOTEL SEMINARIO. All the information received on the web, such as comments, suggestions or ideas, will be considered assigned to HOTEL SEMINARIO. No information should be sent that can not be treated in this way. These general conditions are governed by Spanish law. For any litigation that may arise related to the website or the activity that takes place there, the Courts of Bilbao will be competent, the user expressly waiving any other jurisdiction that may correspond to him.